This will probably be a short review. While I am pushed for time today, the main reason is that I can’t think of an awful lot to say about The Leopard Man. 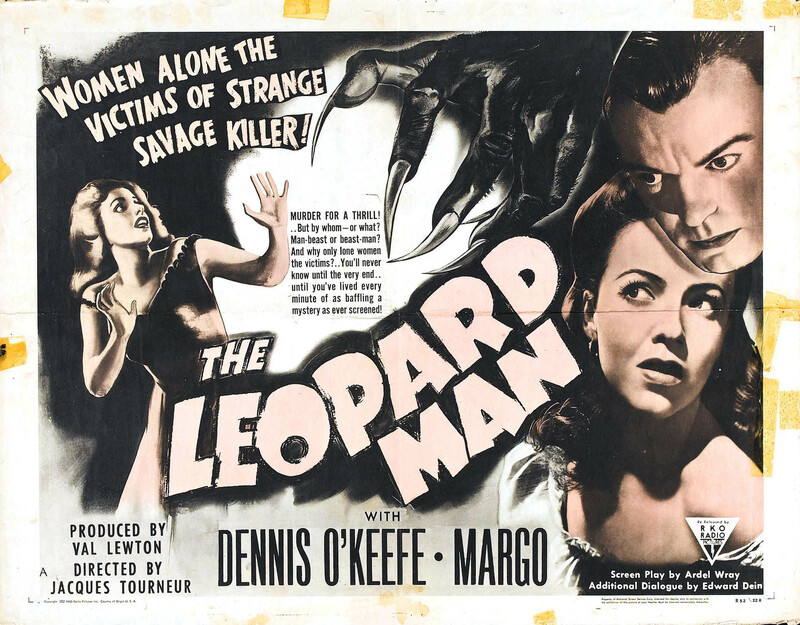 It’s entertaining enough, with the style and production quality you would associate from a Jacques Tourner/Val Lewton film, but much like the leopard we encounter, it is slighter and less threatening than you might expect. Coming just after what are almost certainly the two best-loved Tourner/Lewton films, Cat People and I Walked With a Zombie, it is difficult not to see The Leopard Man as something of a disappointment. This is perhaps unfair, as taken on its own merits, it’s a brisk, entertaining film with almost enough darkness to please, even if it is exceptionally tame to modern eyes. 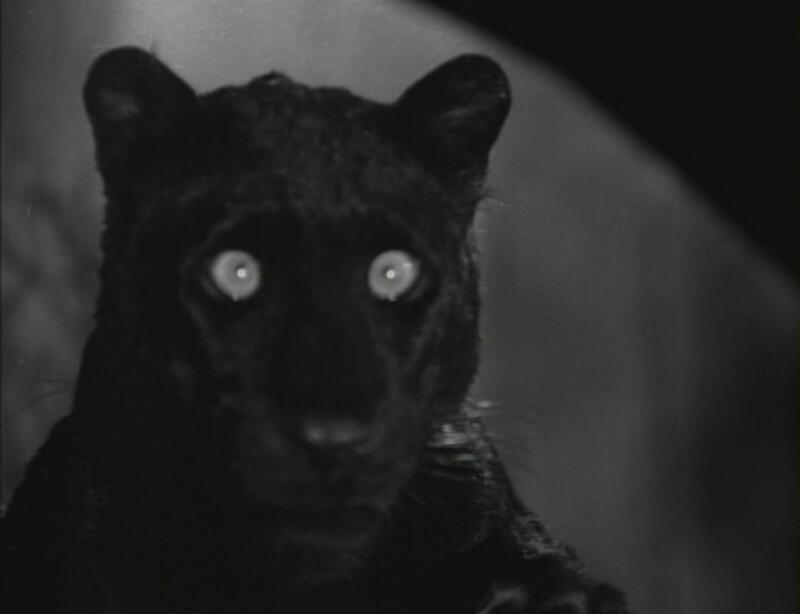 Based on Cornell Woolrich’s novel Black Alibi, The Leopard Man centres on a series of deaths following the escape of a trained leopard. Kiki Walker, a small-time nightclub performer, is convinced by her manager, Jerry Manning, to take said leopard on stage with her, as much to disconcert her rival, Clo-Clo, as to wow the audience. Clo-Clo is unfazed, and scares the leopard off with her castanets. Really, this is what happens; Clo-Clo’s castanets are almost a weapon or a talisman to ward off evil at times. The leopard remains at large, and young women in the area start dying. 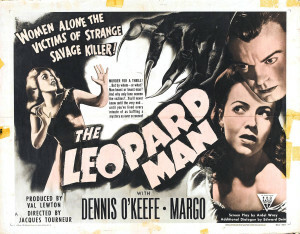 As Walker and Manning become convinced that someone is using the leopard as a scapegoat for conducting a series of murders, they decide to play detective. The mere idea of the existence of a serial killer may have been enough to shock audiences in 1943, but it is unlikely to do more than leave a modern audience wondering when the real horrors will turn up. The killer is not completely uninteresting, especially when we discover his lack of understanding of his own motivations, but he is largely a nonentity. By keeping his presence, or even tangible proof of his existence, from the audience, the scenes in which he stalks his victims are oddly flat. 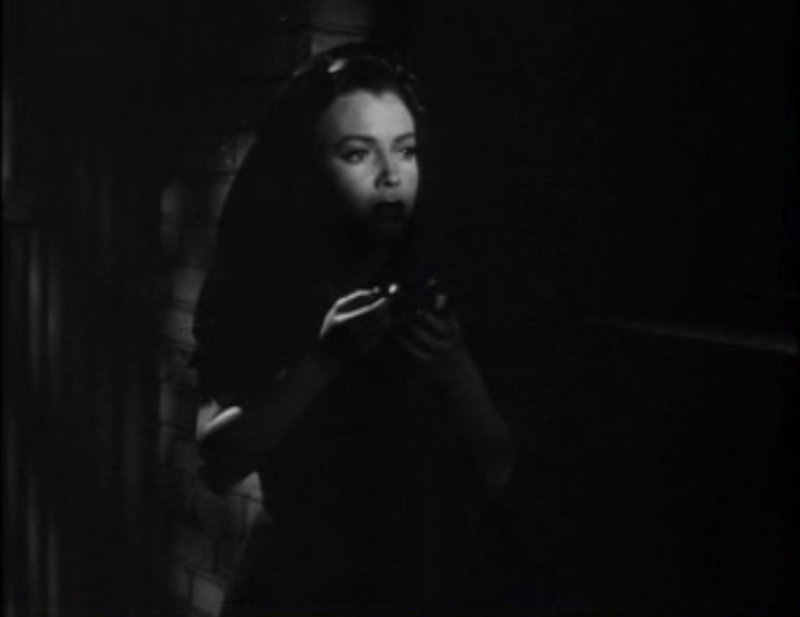 There are hints of the masterful tension of similar scenes from Cat People, but here they seem more like people jumping at shadows. This is not to say that there is no tension or mystery in The Leopard Man. 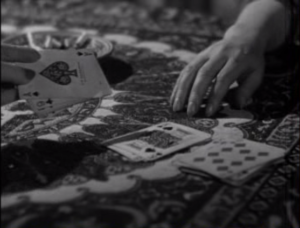 Clo-Clo’s friend, a fortune-teller, keeps seeing an inescapable dark fate, and a sense of doom hangs over the rest of the film. 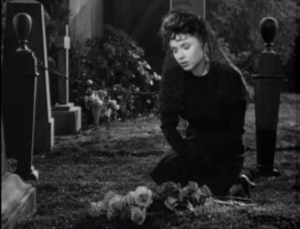 A scene with a young woman locked overnight in a graveyard comes close to being frightening, but ultimately feels truncated. 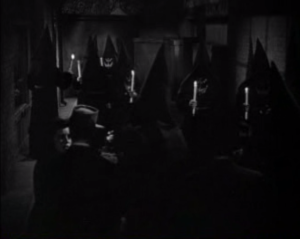 And the reversal of the normal tropes of gaslighting in the climax lead to some of the strongest scenes in the film. One aspect that makes The Leopard Man stand out is the setting of a New Mexico border town, as well as the cast of working class characters who live there. Most of these characters are well-fleshed-out and sympathetic enough to prove more interesting than any of the leads. The location is a part of America I cannot remember seeing in other films of the period, especially portrayed in such a matter-of-fact way. 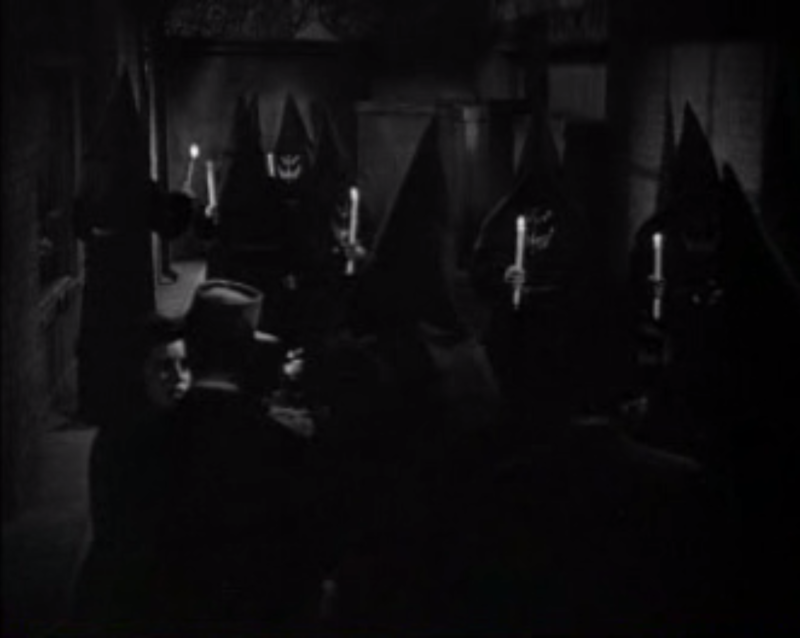 The Mexican influence runs strongly through the film, especially in the religious ceremony that provides the backdrop for the climax, and this saves the film from feeling generic. 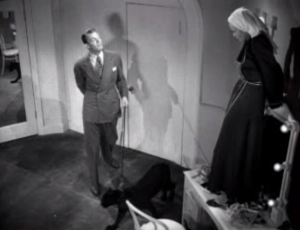 If The Leopard Man had not been directed by Tourner, I may not have been so disappointed with it. It’s a perfectly entertaining film, with a few twists and turns and some decent characterisation, but I kept wanting more. This is less a horror film than a tepid, if beautifully made, thriller, and time has not been kind to it.